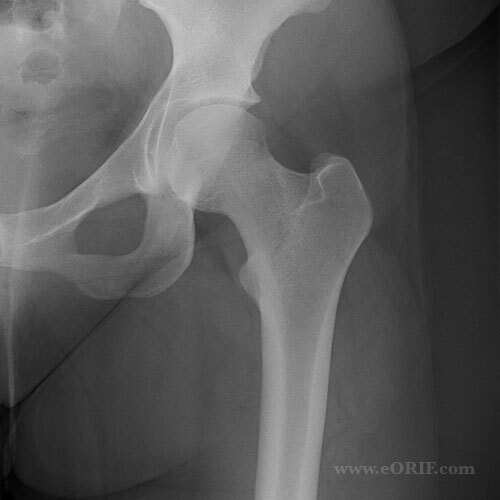 Evaluate: joint space narrowing, osteophytes, cysts, asses leg lengths based on lesser troch levels. Pubic symphysis should line up with sacrum if pt and film are properly oriented. Position: supine with both legs internally rotated 15°. Beam: aimed perpendicular to table/plate, centered 1" distal to ASIS. Beam: aimed perpendicular to table/plate, centered on femoral neck. Position: supine with unaffected hip and knee flexed 90° out of the way. Beam: aimed perpendicular to long axis of femoral neck, centered on femoral neck. Position: supine with hips flexed and abducted, knees flexed with soles of feet touching. 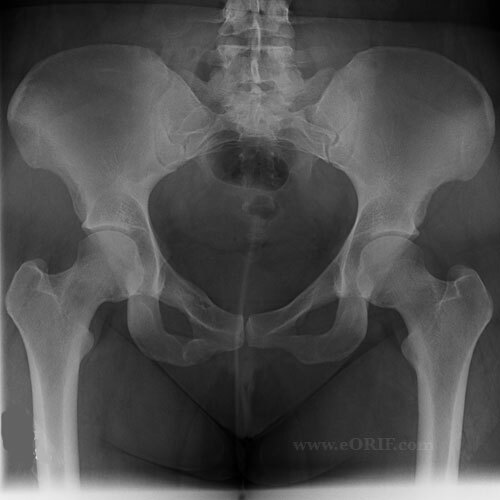 Beam: aimed perpendicular to table/plate, centered on pubic symphysis. Position: supine rotated posteriorly toward affected side. 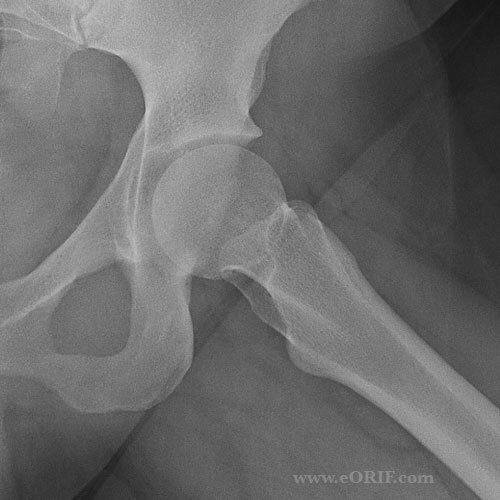 Hip is flexed 45° and abducted 45°. Measeure ventral inclination angle. Normal >25º. Position: Patient standing with the affected hip on the cassette, the ipsilateral foot parallel to the cassette and the pelvis rotated 65° from the plane of the cassette.